Morelli Zorelli is an authentic Italian pizzeria with a HUGE veg*n menu and artisan sourdough bread in the hip foodie city of Brighton. This article brought to you by Morelli Zorelli who provided complimentary food. Affiliate links included. See disclosure for more. High quality ingredients are definitely the focus here in this quite authentic Italian pizzeria. They prepare their artisan sourdough bread daily with 00 Caputo flour imported all the way from Naples, Italy, and cooked in a stone oven. 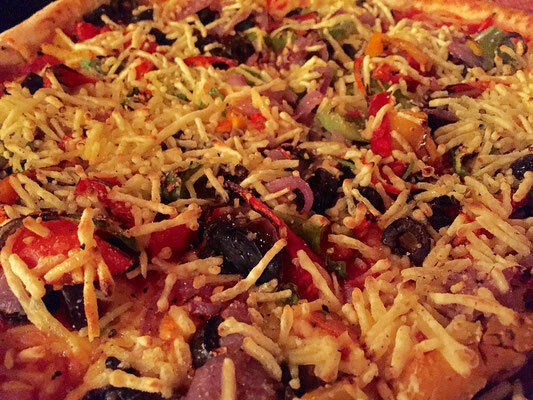 The vegan and vegetarian pizza menu is enormous, and even has gluten-free options. You can choose from 2 types of vegan cheeses - Cheezly and Veganic. I tried them both, of course, and they are very good and very different. One is textured, crunchy and yeast flavored and the other is a melty, chewy and gooey mozzarella. You can also pick your way through their selection of vegan mock meats from Vbites, such as chicken, pepperoni, chorizo, ham and duck. All pretty delicious, as Vbites makes amazing mock meats. I love their burgers. I loved the VEGAN MEAT FEAST which had vegan mozzarella cheese, pepperoni, chorizo, ham, mushrooms, and caramelized red onions on top. Another favorite was the VEGAN VEGGIE HOT, with vegan mozzarella cheese, and tons of fresh veggies like peppers, mushrooms, olives, red onions, and fresh chillies for an extra kick. 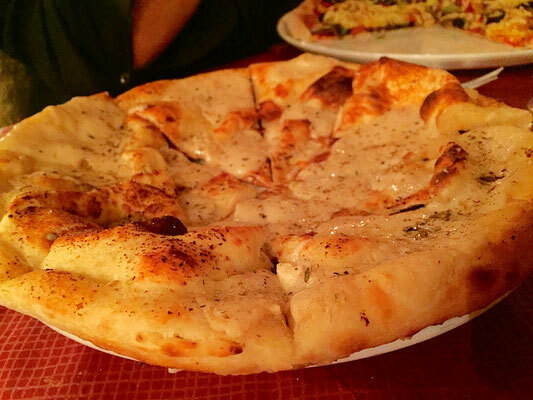 A notable mention goes to the VEGAN GARLIC BREAD AND CHEESE, which was just the way vegan cheesy garlic bread should be. Well done! And just in case all that that wasn't enough, they also have some vegan, organic and gluten-free beer and wine to accompany your meal. 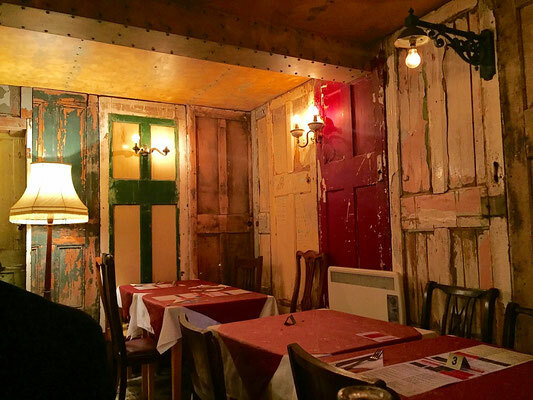 There is definitely something to be said for the ambience of this restaurant. Being quite the sensualist myself, I really appreciate the tiny details. 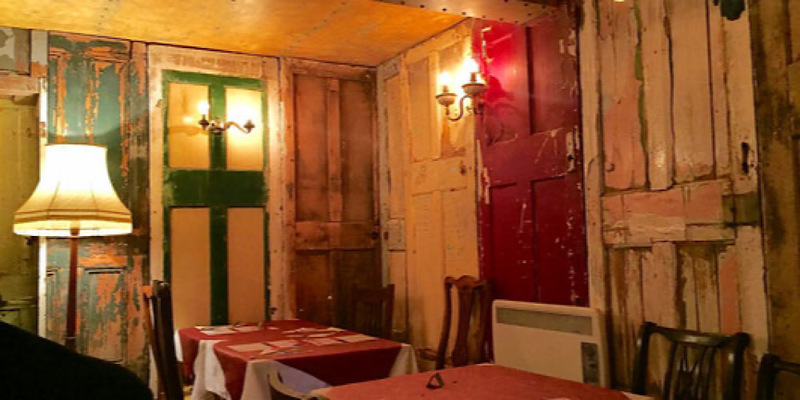 From the outside, it looks like a typical Italian pizza joint, but then you enter and descend downstairs into the most cozy and welcoming space. Very funky shabby chic. 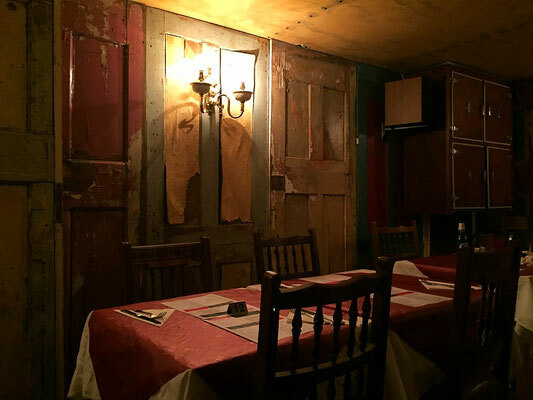 The walls are full of reclaimed wooden doors in different colors and styles. Vintage styled lighting fixtures and lamps adore the room, giving it just the perfect sultry glow. Even the chairs are mismatched, adding to the charm of this unique and romantic dining space. Definitely worth a look! Visit Morelli Zorelli at 40 Western Road in Hove. Or order your pizza online and have it delivered with a bottle of wine!